What happens after an car accident without insurance? What happens after an auto accident without insurance? Click here to find car insurance coverage now by placing your ZIP code in the FREE box! Unfortunately, uninsured/underinsured motorist coverage is one you should have to protect yourself. While most states have laws concerning insurance coverage, there are drivers out there who still drive without insurance. If you don’t protect yourself through buying additional coverage, then you will be paying for damages yourself. All states have laws concerning car insurance coverage, whether those laws specify minimum amounts of liability coverage or require drivers to post a bond proving they can cover damages they might inflict. An uninsured motorist is one who has not met even the minimum requirement of insurance coverage to legally be on the road. Uninsured motorists pose a great danger to every other driver on the road. They have no liability coverage to pay for damages they cause to other drivers and vehicles in an accident. The number of such drivers on the road at any given moment is much higher than you would care to think. According to 2011 data compiled by the researchers at the Insurance Research Council, one in seven drivers on the road does not have insurance. You will be responsible for 100 percent of the costs if your vehicle is damaged and you are injured by a driver without insurance. You will have the opportunity to try to recover damages, but most uninsured drivers are not rich people who are too lazy to get car insurance. Most uninsured drivers don’t have two nickels to rub together. They may have had their licenses revoked and they are not supposed to be driving at all! Your only option to protect yourself from bearing the full cost of injuries and damages is to purchase extra insurance protection that specifically protects you from drivers without insurance. Without such extra coverage, you really will be on the hook for paying for all of your medical bills and repair costs. 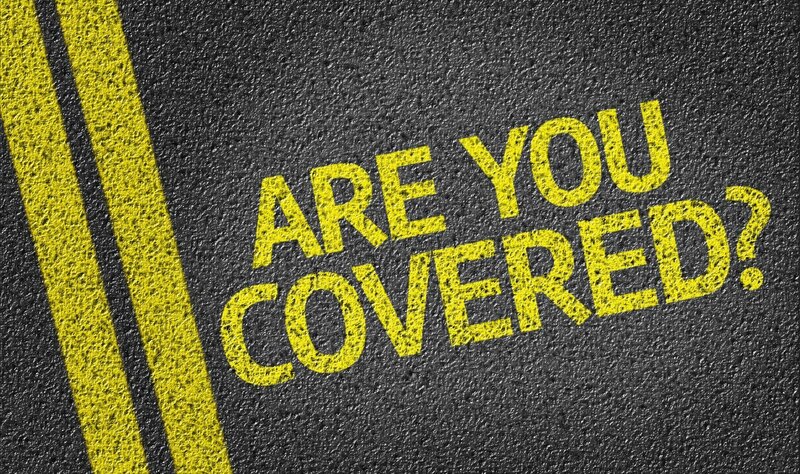 There are three different types of coverage experts recommend that you carry in order to protect yourself from the dangers of uninsured motorists. The first is uninsured/underinsured motorist coverage, and it is meant to pay your medical bills if a driver without auto insurance injures you in a crash. This coverage can also protect you if you are hit as a pedestrian. Uninsured/underinsured motorist coverage is a requirement in some states. Some states allow drivers to waive the requirement in writing, while some states don’t require the coverage at all. This coverage will also pay if a hit-and-run driver injures you. It is an especially important form of coverage if you also have no health insurance to act as a safety net. Generally, your uninsured motorist coverage amounts cannot exceed your liability insurance amounts. If you want higher dollar amounts of coverage, then you will need to increase your own limits on your liability coverage. The next coverage that will protect you in the event of a run-in with a motorist lacking insurance coverage is collision. Collision coverage is an optional part of a car insurance policy, and it can be expensive. However, it can be a costly coverage not to have. Collision coverage will pay to fix the damages to your vehicle from an accident, regardless of fault. While an at-fault driver’s liability insurance would pay to fix the damages to your vehicle, collision coverage will step in if the at-fault driver has no coverage. Collision coverage also includes a deductible amount that you specified when you bought your policy. Ranging from $250 to $1,000 or higher, the deductible will be yours to pay if you want your vehicle to be repaired. Lastly, there is rental car coverage, which allows you to rent a car temporarily until your vehicle is fixed. Many people overlook this coverage, thinking they will not need it. However, it can cost from $30 to $100 a day to rent a car and that can add up quickly if your vehicle requires extensive repairs. Most states have a fault-based law system, also called a tort system. This means that there must first be a determination of who was at fault and thus liable for injuries and damages. Conversely, in no-fault states, your car insurance coverage explained above will pay for your damages without needing to assign fault, according to the industry leaders of the National Association of Insurance Commissioners. States that are no-fault states are generally those that will require that you carry uninsured/underinsured motorist insurance in the form of Personal Injury Protection coverage. Many have restrictions on suing an at-fault driver for pain and suffering. However, you usually still have the option of suing for damages to your vehicle, according to the law website Free Advice. In at-fault states, you might be apportioned some part of the fault for an accident. Your claims may be reduced by the percentage of your fault. If it is deemed by your insurance company that you bear 20 percent of the responsibility for an accident, then your $10,000 claim will only pay $8,000 minus your deductible. Depending on where you live, you may also be able to pursue legal action against the at-fault driver. Each state will have its own laws regarding when and for what damages you can sue the at-fault driver to recoup your losses. In some states, you will be able to sue for the whole gamut of issues, such as for injuries, repairs, and pain and suffering. In other states, you may only be able to sue for damages to your vehicle. Remember that the courts will generally only reward you damages in order to make you whole again. You cannot be awarded judgment amounts that have already been paid by your insurance company. You may be able to sue to recover the amount of your deductible and co-pays, for instance. Keep in mind that most uninsured motorists lack insurance coverage for a reason; they just can’t afford it. If you have no insurance to recoup your loses when hit by an uninsured motorist, then suing may be your only recourse. However, it may be like the old adage, “you can’t get blood from stone.” It means you can’t get something that doesn’t exist, and you can’t get a lot of money from a person who has none. There are many penalties for driving without insurance beyond the ramifications that go along with causing a car accident. In many states, it is punishable by a fine of several hundred dollars. Repeat offenders face higher fines and possible jail time. In New Jersey, your vehicle can be impounded if you cannot show proof of coverage within 24 hours of being pulled over without it. Lack of auto insurance coverage is also grounds for revoking your license if you are found to be without it. Some states also revoke your car registration as well. In July 2012, the Kentucky Department of Motor Vehicles mailed notices to residents who have a registered vehicle that appears to lack insurance coverage. They matched up Vehicle Identification Numbers (VINs), from the state’s car registration rolls with VINs supplied by insurance companies who sell insurance in the state. Any owner whose vehicle’s VIN did not match one from an insurer has 30 days to show proof of coverage or have their car’s registration revoked. It certainly seems unfair that you have to buy insurance to cover your own financial responsibility and coverage to protect yourself against those who neglect insurance laws. You are spending money to cover someone else’s liability, as well as your own. Yet car insurance is all about protecting yourself from events that we don’t want to happen. For instance, it is illegal to steal another’s vehicle, yet car theft occurs often. No one wants their car to be stolen, but it is still a smart move to have coverage to protect yourself in case you are a victim of theft. Similarly, it is also a good idea to have coverage to protect you from an uninsured driver. If you don’t have coverage to pay if the at-fault driver can’t, then you are going to be footing the bill yourself while waiting for a settlement from a lawsuit. You need your car to get to work and to perform the other necessary errands of life; you can’t wait for months or even years for a lawsuit settlement. Uninsured motorist coverage isn’t about fairness or justice; it is about getting yourself back on your feet as quickly as possible. You can have peace of mind knowing that your medical bills will be paid and your car will be repaired after an accident with an at-fault driver, or you can hope that any driver who does you damage has insurance. The choice is yours! Locate quotes for car insurance when you put your ZIP code into the FREE quote tool on this page!